My rarely-used crock pot may start to get a workout after it was used to make this pork. We just had it last week and I already want it again - it's that good. So good that I had 2 sandwiches at dinner, as did my husband and best friend. 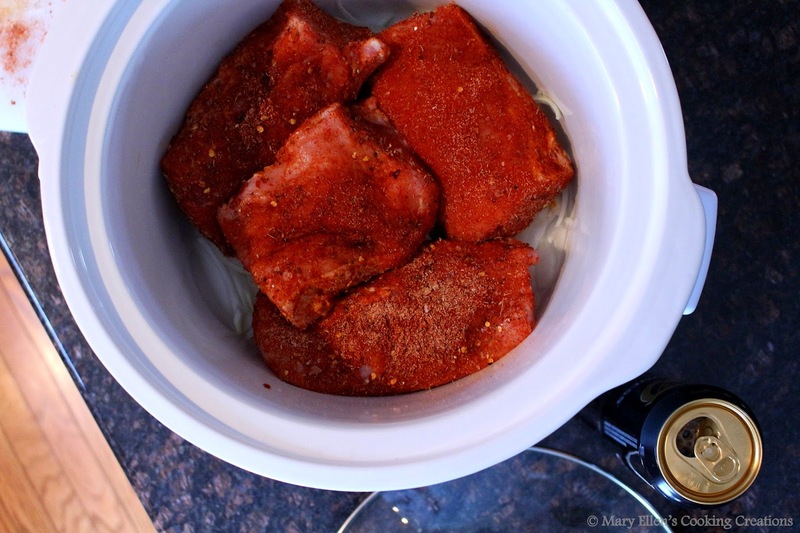 The pork starts with a simple rub - I added a few things to the original recipe to spice it up a bit and also increased the quantities. Then you layer sliced onions in the bottom of the pot, top with the pork and then pour in the Guinness. I think I spent 8 minutes on the prep. I used a pork loin sliced into large chunks. It became so tender while cooking that I didn't even need to pull it out to shred it - I just used a fork and my tongs and barely needed to use any effort to make it fall apart. The three of us all built our sandwiches differently - I put some cole slaw on the bottom of the bun followed by the pork and then some Sweet Baby Ray's original BBQ sauce. 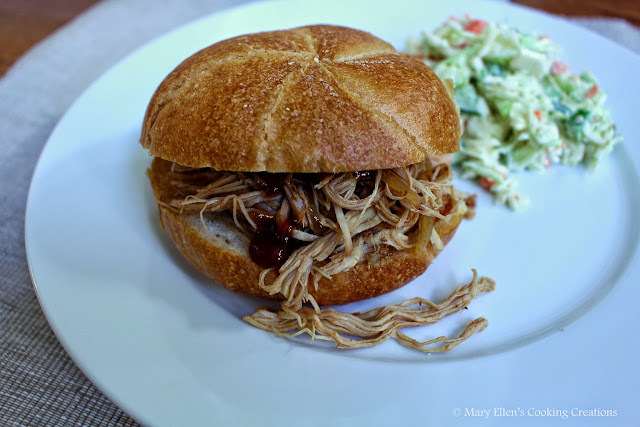 My friend kept it simple with just pork and sauce while my husband layered his with cole slaw, pork, and dill pickles. Mix together all of the spices and then rub generously over the pork. Cook on high for 6 hours and then turn to low for 2. Shred and keep warm until ready to serve. Serve with pickles, BBQ sauce and cole slaw.